Eating dairy products provides an excellent source of calcium, which protects you from a lot of diseases that are caused from calcium deficiency. Our body cannot produce calcium when it doesn’t get the raw materials to make it. 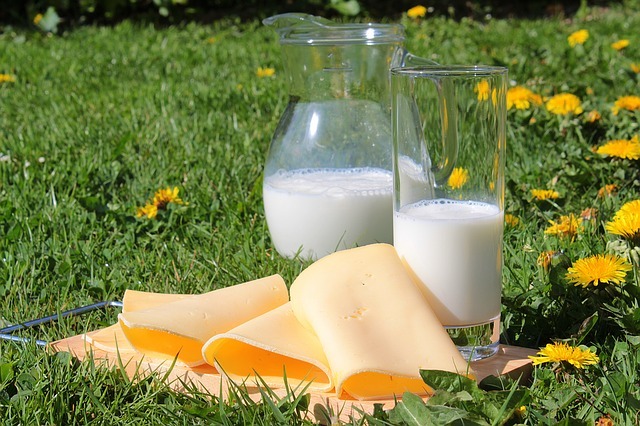 Raw materials high in calcium can also be absorbed from the following sources: Broccoli, Kale, Spinach, Collards, Turnip Greens, Cabbage, Cauliflower, Beans, Lentils, Nuts, Figs, Dairy Products, Salmon and Sardines. However, all of these plants or animal products must have the raw materials of calcium so that our body can absorb it. Calcium deficiency is the primary cause of over 140 diseases. I called my friend Doctor James Wilson, who is the medical advisor for the Complete Health Through Nutrition concept, because my blood pressure was sky-high. Doctor Wilson’s first concern was the level of calcium in my system. He told me that I needed to start taking calcium supplements and eat foods that have calcium raw materials. He then explained to me that whenever human beings are under stress their bodies need and use more calcium and therefore we must have adequate levels in our system so that there will be no imbalance and that I needed to take two 1000 mg capsules of Calcium Citrate a day. After Dr. Wilson convinced me to take calcium supplements, I went to the nearest vitamin store and purchased a bottle of Calcium Citrate capsules 1000 mg each. I also asked Dr. Wilson what might happen if I put too much calcium in my system and what side effects I could expect if I would take too much calcium. He told me that the symptoms are opposite of those that occur when a person has a calcium deficiency. I was terrified about my health imbalances so I ate foods rich in calcium and took the recommended calcium supplements. Then I started taking three 1000 mg capsules a day and ate fruit, vegetables and dairy products. Then one night after closing the restaurant, I started feeling those opposite feelings my doctor told me about. This turned out to be the ugly side of overdosing on calcium. I had light shivers and trembling that lasted for 2 hours and then I realized what I had done. I invoked the Bad and Ugly of Calcium, I overdosed on it. I quit taking the Calcium Citrate for 3 to 4 days, after the break of 3 to 4 days I then started taking one 1000 mg capsule of Calcium Citrate a day. This was my experience with calcium. I strongly recommend that you educate yourself about his very important mineral. My word on calcium: Too much of a good thing is not good!